I know that this is not a new information, but have you heard about Oracle MIX? 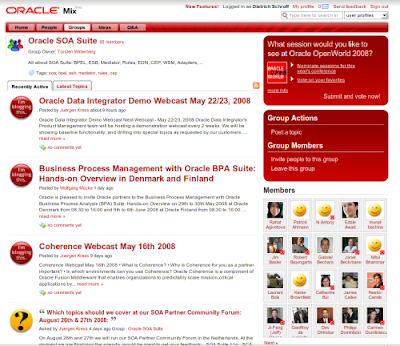 There are groups for most of the Oracle products. I just joined the SOA Suite and BPA group. Let's see, if these groups (and all others on Oracle MIX) are helpful the daily work.